Whether you are a kayaker, canoer, surf-skier, or sit-on-topper, paddling is one of America's great outdoor activities. Below, according to Woodall's Camping Life, you will find ten of the best paddling destinations to set your sights on this year. You need to be ready for cold water and chilly air temperature even in the summer when kayaking the tidal glaciers but your experience with many islands and marine animals will be an experience unequalled anywhere. 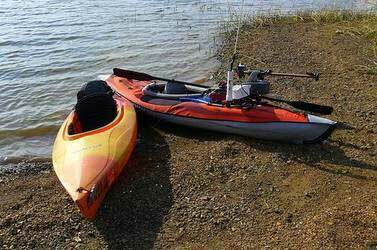 Sea kayakers can choose day trips from several communities or extended tours. San Juan offers a plethora of islands, channels, and the best Orca viewing in the states. In this birthplace of modern kayaking, you will find the best in Pacific Northwest paddling. 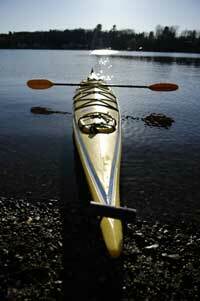 Also visit Puget Sound and Vancouver for more kayaking opportunities. If you are ready to experience crystal clear water, scenic paddling, wonderful whale watching you will want to go to this south-of-the-border paddling paradise. You will want to visit Loreto and Cabo San Lucas. Along the southern shores of Lake Superior, the Apostles feature rocky shorelines, sea caves, and sandy beaches in protected bays. The water is cold along these dozen forested islands which are accessible by open lake crossings. Don't forget your camera! 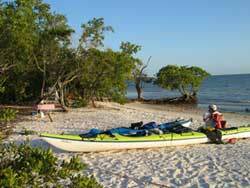 The kayakers will enjoy the many water routes woven around the small islands surrounding the main island. The rocky outcroppings, towering ridges, and forests combine with the spectacular Lake Superior scenery to make this a must on any paddling destination list. The waterways of Kabetogama and Rainey Lakes, sprinkled with hundreds of islands, offers paddlers a wonderful northwoods experience. The National Scenic Rivers of the Ozark Mountains have a primitive sense about them. The Buffalo in Arkansas and the Jack's Fork in Missouri offer good old-fashioned backcountry scenery on lazy rivers. America's only sub-tropical "wilderness", the Everglades, with managroves and 10,000 tiny islands, offer incredible bird and gator watching in the forests, fresh-water swamps and brackish estuaries. The long wind-swept beaches and tide water marshes make for great exploration of numerous uninhabited islands. The lighthouses add to the attractions in this area. 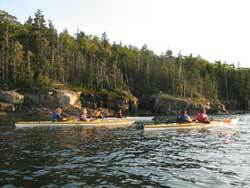 Checking out the coast scenery while circumnavigating Mount Desert Island is what kayaking in this area is all about. The cold 55 degree water temperature can be dangerous for the less experienced kayaker and Frenchmans Bay along Maine's Atlantic coast would be a better choice.